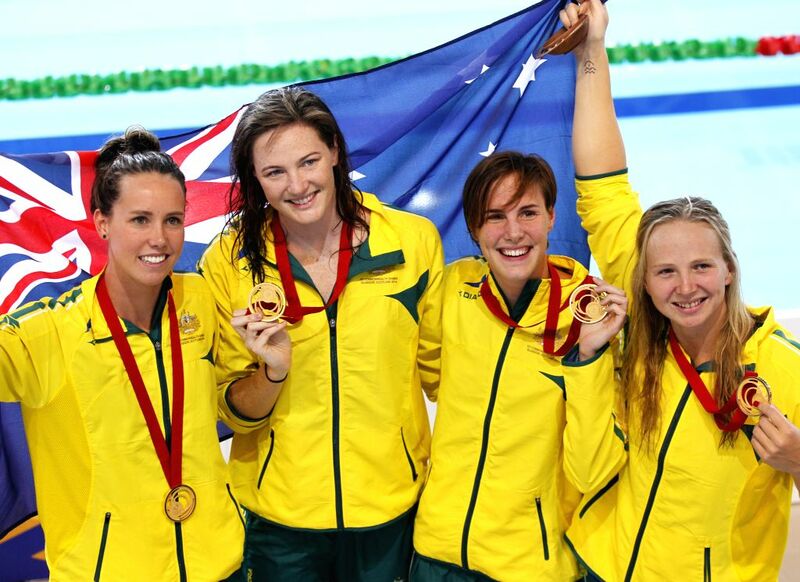 GLASGOW, July 25, 2014 - (From L-R) Emma McKeon, Cate Campbell, Bronte Campbell and Melanie Schlanger of Australia show their gold medals after the medal ceremony for the Women's 4X100m Freestyle Relay Final during day 1 of the Glasgow 2014 Commonwealth Games at Tollcross International Swimming Centre in Glasgow, Scotland, July 24, 2014. Cate Campbell, Bronte Campbell, Emma McKeon and Melanie Schlanger claimed the title with a world record time of 3:30.98. 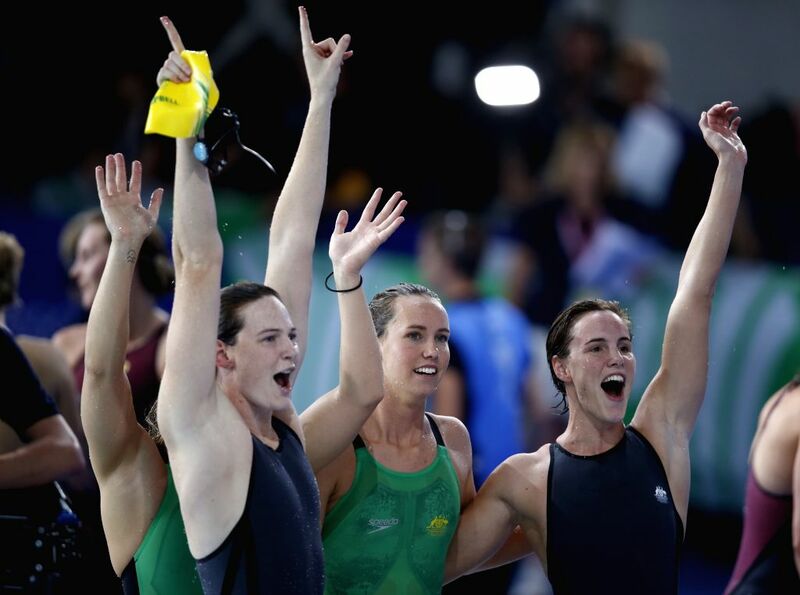 (From R-L) Bronte Campbell, Emma McKeon, Cate Campbell and Melanie Schlanger of Australia celebrate after winning the Women's 4X100m Freestyle Relay Final during day 1 of the Glasgow 2014 Commonwealth Games at Tollcross International Swimming Centre in Glasgow, Scotland, July 24, 2014.